Nuclear power contributes 20 percent to America's electricity, and 77,000 tons of highly radioactive nuclear waste continue to sit at the nuclear reactors across the nation, mostly east of the Mississippi River. About 2,000 tons of nuclear waste are produced each year by the nation's utilities. A number of nuclear plants that have been decommissioned in the past still store nuclear waste. Many of them are located along rivers and waterways, such as San Onofre Nuclear Generating Station (SONGS) on the Pacific Coast of California. After a release of radiation from one of the steam generators forced closure of the plant in 2012, about 3.6 million pounds of nuclear waste are still stored on site. Over 8 million people live within a 50-mile radius of SONGS. Dana Point is a city along California's coastline that's located about 12 miles away from the shuttered nuclear plant. As the plant is being decommissioned, the San Onofre Community Engagement Panel, a group comprised of local residents, officials and stakeholders was tasked with advising the community on the decommissioning process. Members of the panel say that storing the nuclear waste along the Pacific Ocean isn't safe, but some express concerns about Yucca Mountain. "Even if Yucca Mountain is used, it’s going to be many years from now,"
On Dec. 30 2017, over a hundred people participated in a protest in San Clemente, a beach community in Orange County. The event was meant to raise awareness about the danger of stranded nuclear waste at San Onofre Nuclear Generating Station. Many participants said they were worried about spent nuclear fuel sitting along the Pacific Ocean in a tsunami zone. On May 10 2018 when U.S. House of Representatives approved the bill resuming licensing proceeding for the nuclear waste repository at Yucca Mountain, members of the Timbisha Shoshone Tribe along with some volunteers walked to the foothills of Yucca Mountain. It was part of Western Shoshone's Walk on Sacred Land Ceremony that was held to defend Yucca Mountain and Western Shoshone Treaty Land from nuclear transportation and disposal. Mike Cottingim, former Amargosa Valley town manager said he supports Yucca Mountain. He said the project would grow the population of the town and bring jobs to the area. Nye County officials have long supported the idea of resurrecting Yucca Mountain stating that it would spur economic growth and benefit Nye County and Nevada. "After the science is heard and shown to be able to operate Yucca Mountain safely, the project would call for infrastructure improvements such as roads and rail. And of course, most importantly, thousands of jobs during construction and hundreds while operating,"
The state of Nevada, however has been opposed to the project since the 1987 Nuclear Waste Policy Act designated Yucca Mountain as the only place to store the high spent nuclear waste. 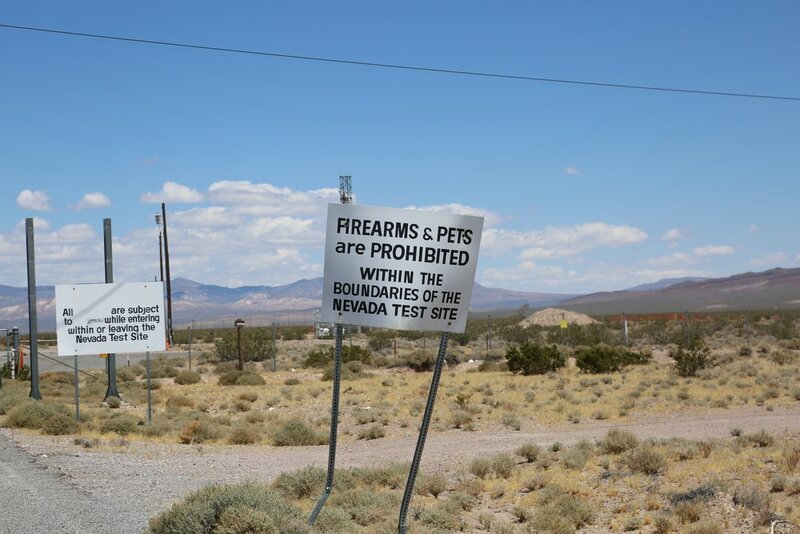 Nevada officials cite environmental, transportation, safety and health issues associated with the Yucca Mountain project among their top concerns. "The state of Nevada is officially absolutely opposed to the Yucca Mountain nuclear waste repository. And this has been the case since the early 1980s. Six governors in a row have opposed the Yucca Mountain repository proposal,"
Located just outside the gate to the Nevada National Security Site, Amargosa Valley is an unincorporated town in Nye County, Nevada with a population of just above 1,400 people. 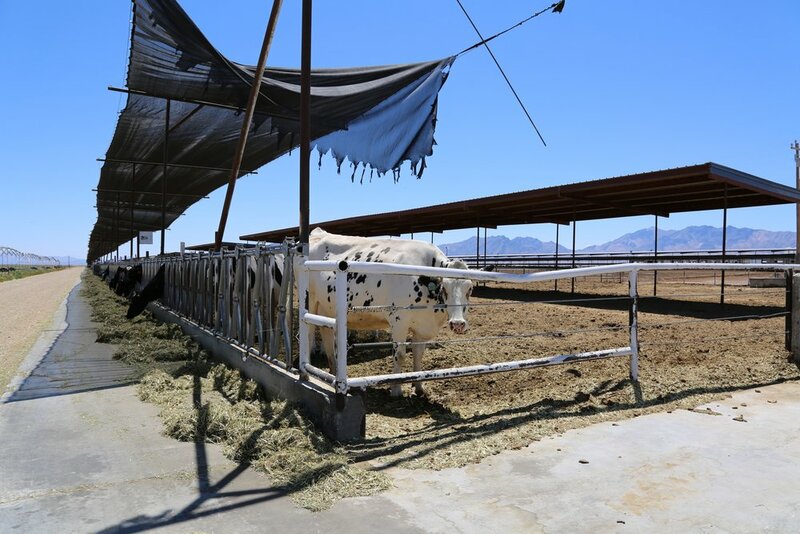 Jobs are scarce in Amargosa Valley and Ponderosa dairy is the largest employer in the area. Shirley Harlan, a resident of Beatty, another town that's located near Yucca Mountain said that she is against the project. "I don’t really think that this is the best idea. I don’t think that Nevada should be dumped on like that. I think that what they develop in other areas, other states, should remain in those states where it is produced,"
Seen in this July 2016 photo, Harlan stands in front of her Beatty home. 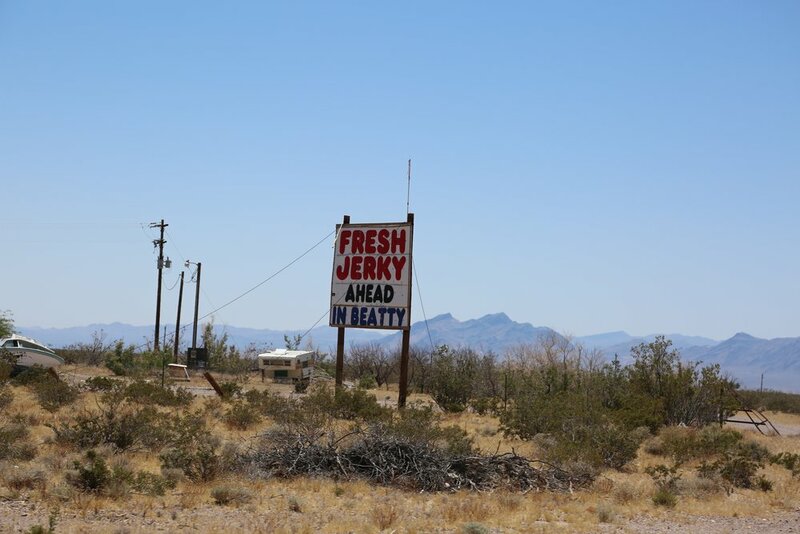 Beatty is an unincorporated town with a population of slightly more than 3,000 people in Nye County, Nevada. It is located about 20 miles to the west of Yucca Mountain. 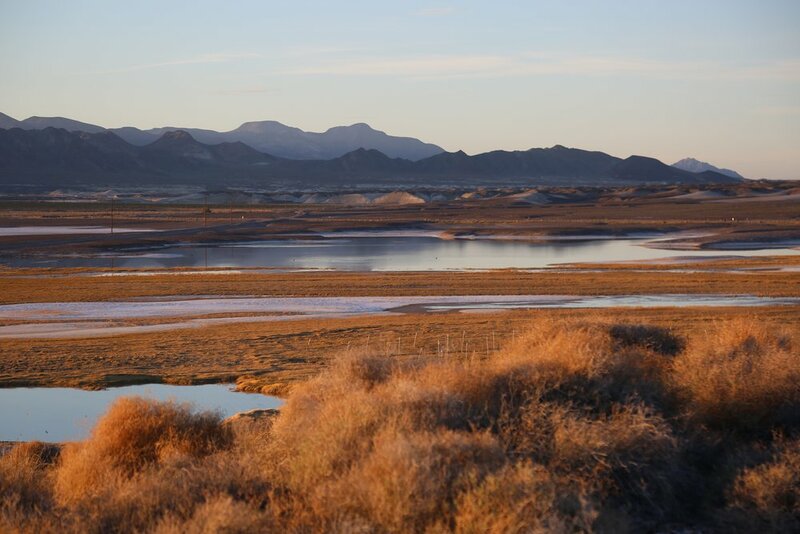 Across the state line, residents of Tecopa, California, a tiny desert hamlet, said they are worried about Yucca Mountain's impact on their water. "The Biggest concern is the effects on our waters. people come here for our waters and come here for the scenery and come here for the pristine beauty of the area. And if there's fear that that has been tainted by nuclear waste or any sort of effect that would damage our waters, people won't come,"
The Timbisha Shoshone Tribe whose reservation is located in Death Valley National Park, California, is also opposed to Yucca Mountain. Tribe members say that the project would violate the Treaty of Ruby Valley of 1863 which gave the tribe the rights to the land where Yucca Mountain is located. Among the tribe's chief concerns is the possible contamination of water as groundwater path from Yucca Mountain leads to the Death Valley National Park. 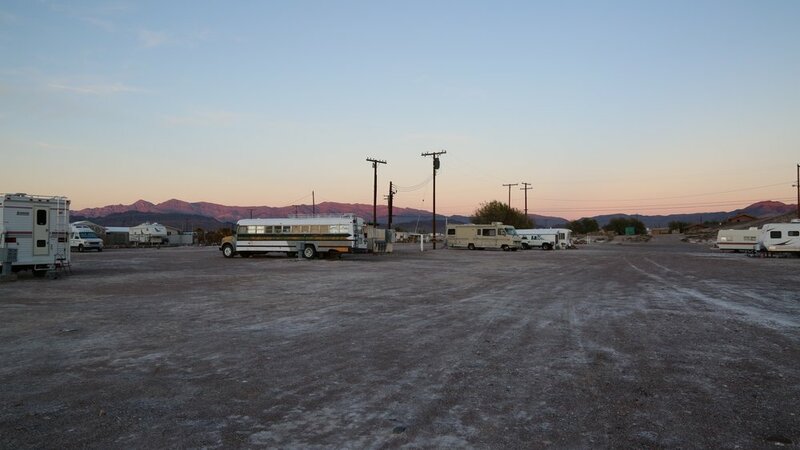 "We feel like it is very dangerous, it's not good for the environment or anything, and we live very close to it,"
The Timbisha Shoshone settlement is located in the Death Valley National Park away from the main road. "We will just keep doing what we are doing and keep trying to get our say out there on what's going on and protect the water and hopefully, people will see that it is important to protect this area. Not just for us, but for all people. I mean there's a lot of people from Europe and all over the world that come here to visit,"
Seen in this photo is the village of the Timbisha Shoshone Tribe near Furnace Creek at Death Valley National Park.